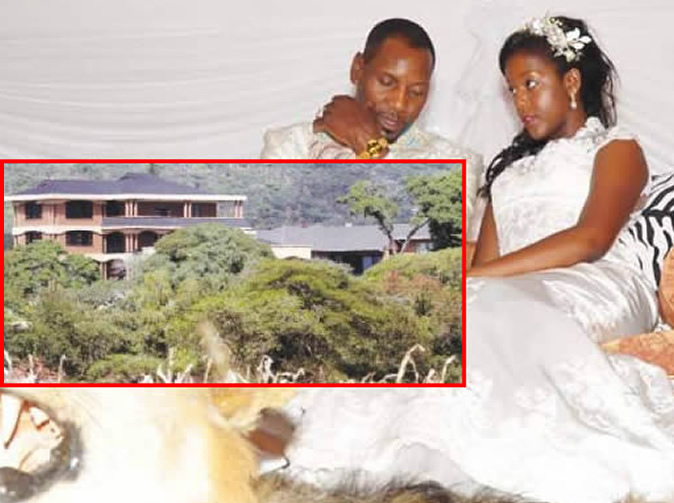 Bona Mugabe has been presented with keys to a new multi-million dollar plush mansion in Mazowe, as a belated wedding gift by her mother, Grace Mugabe, according to online publication, The Telescope News. The three-storey mansion, which has been constructed by a Chinese construction firm, is almost the same size as the Mugabe's famous Borrowdale "blue roof" mansion. President Mugabe apparently gave her his historic Mt Pleasant house, at 40 Quorn Road where he lived with his first wife Sally Mugabe before he became prime minister in 1980. Telescope news reported that Bona's mansion was first widely reported by local media, as belonging to Grace, with other sections speculating that, the mansion built at Mapfeni Farm, was Mugabe's new mansion. Mugabe's youngest son, Bellarmine Chatunga, is reportedly set to inherit his father's Borrowdale mansion, which Mugabe claims is a donation from his Zanu PF party.